Total Weight Gain: 23 lbs. Owning it. Symptoms: The leg cramps are here and frequent and probably not going anywhere. I feel like I have a slight waddle; let's call it swagger. And daily tasks are getting just a tad more challenging. I have a favorite pair of strappy sandals that are mighty hard to fasten on my own. Heart burn is here, but mild. And sometimes I don't really have an appetite because of the position baby is in. Movement & Position: Super anxious for my midwife appointment next week to get a better idea of what position he is in. I actually think he may be traverse at the moment. His feet really feel like they are on my left side. He does little dance moves when I'm laying on that side to sleep. Nesting: Feeling the urges to nest so so bad. I need to clear out half my closet to make room for Kane, since we will be sharing a room until our big move. I keep telling myself that I will really start preparing for his arrival after our summer vacation, so I need to be okay waiting for that. Maternity Finds: I really want this "Baby Watch" swimsuit! I may have to order it before our vacation. Apparently, one pieces are my thing all of sudden. Liam's Thoughts: He's very aware of my changing body, which currently barely has room for a little one to sit on my lap. He still loves falling asleep with his hand on my belly, and will often move it around in all his sleepiness if he feels kicks. Finn's Thoughts: Today I asked him, "What do you think about the baby?" So much to say! "Baby eat milk! So cute! Baby be born!" You can see the thoughts rolling through his head. He seems to be absorbing so much of what we are saying. I really cannot wait to see him transition to big brother! I know I'm still a good 11 weeks out, but slowly it's starting to feel like that due date is soon. It's in the foreseeable future, not some much later day. I'm starting to feel more confident about giving birth again & just having a brand new baby around. The excitement is surely building! You look great, mama! And these last 11 weeks will fly by! You look amazing sweet momma! Such a lucky lady you are. Own it because you are gorgeous friend! Nesting, I feel you. Its like mini accomplishments when I get something cleaned or tidied each day. The kids thoughts are the cutest. And you look amazing. You are rocking this pregnancy and looking amazing. Love these photos. I think I say this with every update, but I truly mean it, you look so gorgeous. Pregnancy looks so good on you. 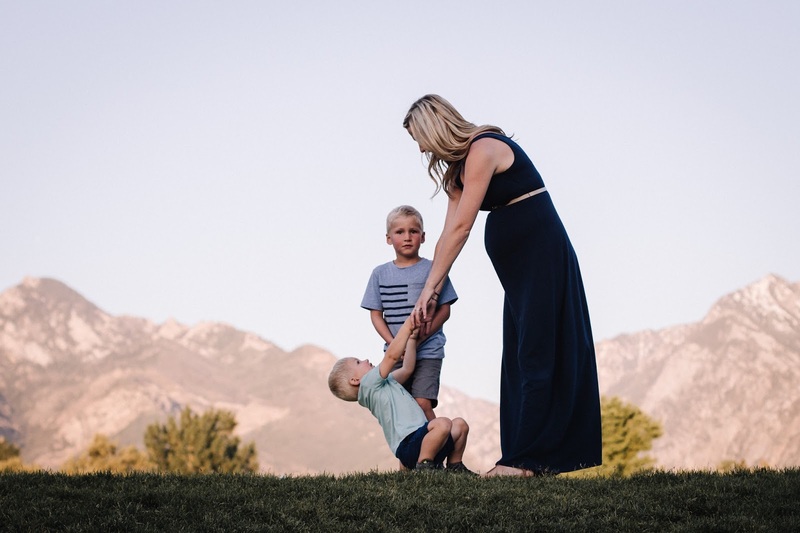 Super excited to see what comes of your next midwife appointment!! 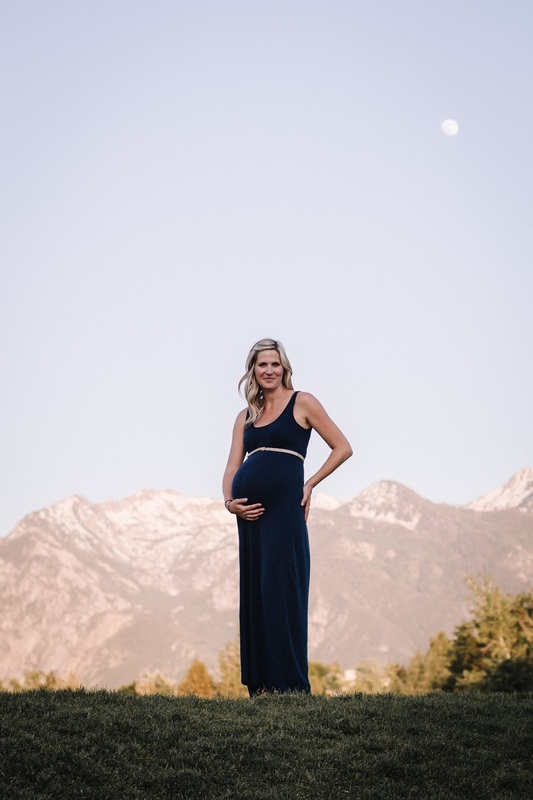 You are rocking that bump, and those mountains are GORGEOUS! when you do these post I always look forward to reading your boy's thoughts. Ha, I kinda love the waddle phase. It just makes it feel so real. You look gorgeous and absolute glow during pregnancy. Love the boy's reactions. I had really bad leg cramps so my doctor recommended a magnesium supplement. It has made a world of difference! I still get them occasionally, but it's nothing like before! I'm not sure how you feel about supplements, but it might be worth looking into! Love all of these photos! So beautiful!